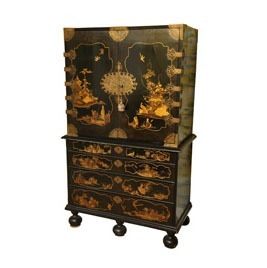 Art & Antique Dealers League of America » Philip Colleck, Ltd. Hours: Mon-Fri 10-5:30 and by appt. Established in 1938, Philip Colleck, Ltd. 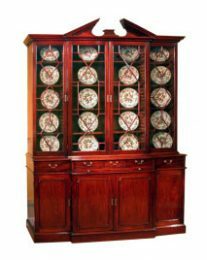 Specializes in very fine eighteenth and early nineteenth century English Furniture and works of art. We are located in midtown Manhattan in a pre-Civil War Landmark brick house at 311 East 58th Street, just east of Second Avenue. Two floors of exhibition space display our collection of William & Mary, Queen Anne, Georgian, Chippendale, Hepplewhite, Sheraton and Regency furniture, with an emphasis on chinoiserie, mirrors, screens and lighting. All of our inventory is carefully selected and guaranteed in writing. 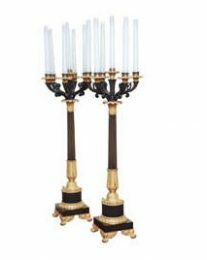 We take pride in our stock and are always searching for pieces of exceptional quality with particular attention paid to fine color and patinantion. 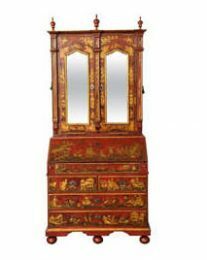 Philip Colleck, Ltd annually participates in one of the finest antiques shows in the United States: The Winter Antiques Show in January. The show is rigorously vetted to ensure quality and authenticity. 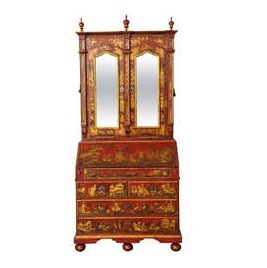 Fine eighteenth and early nineteenth century English Furniture and works of art, including William & Mary, Queen Anne, Georgian, Chippendale, Hepplewhite, Sheraton and Regency furniture, with an emphasis on chinoiserie, mirrors, screens and lighting. Established in 1938, this year marks our 75th anniversary. 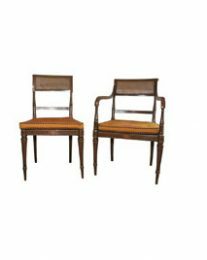 Philip Colleck, Ltd. specializes in very fine eighteenth and early nineteenth century English Furniture and works of art. We are located in midtown Manhattan in a pre-Civil War freestanding brick house at 311 East 58th Street, just east of Second Avenue. Our building was designated a New York City Landmark in 1967 and is on the National Register of Historic Places. Two floors of exhibition space display our collection of William & Mary, Queen Anne, Georgian, Chippendale, Hepplewhite, Sheraton and Regency furniture, with an emphasis on Chinoiserie, lighting, mirrors and screens. 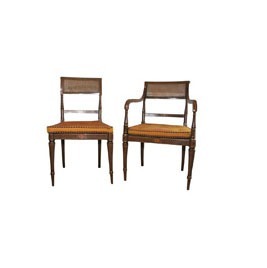 Our antiques are carefully selected and guaranteed in writing. 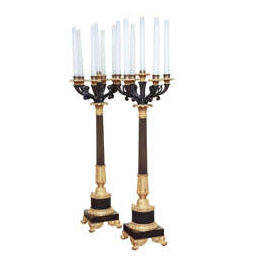 We take pride in our stock and are always searching for pieces of exceptional quality with particular attention paid to fine color and patination. Philip Colleck, Ltd. also provides professional quality restoration services since our founding in 1938. Depending on the repairs needed, restoration work can be done both on site and in the studio. 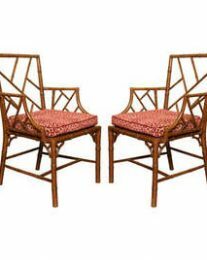 In addition, Philip Colleck, Ltd., has also a long and distinguished history of making fine custom furniture and upholstered pieces. 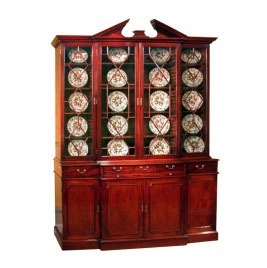 Our master craftsmen can copy a treasured existing heirloom, or create a new piece. 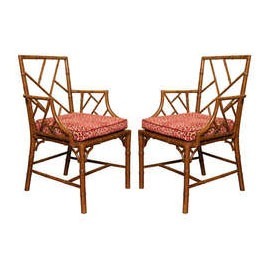 Philip Colleck can also provide professional appraisals of your fine furniture. All of our appraisals are based on experience and thorough research. Our appraisals adhere to the ethical and professional guidelines of the Appraisal Foundations Uniform Standards of Professional Appraisal Practice (USPAP) and are accepted by all insurance companies. 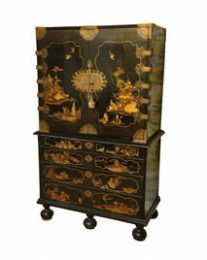 Philip Colleck, Ltd. annually participates in The Winter Antiques Show held at the Park Avenue Armory in New York in January, one of the finest antiques show in the United States. The Winter Antiques Show is rigorously vetted by a distinguished panel of experts to ensure quality and authenticity.